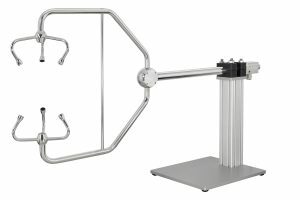 The ultrasonic anemometers uSonic-3 Class A MP and uSonic-3 Cage MP represent an innovative step forward to highest performance in atmospheric turbulence sounding. Based on the well proven METEK ultrasonic sensor family uSonic-3 the design of the sensor head enables the user to perform three independent measurements of the air flow quasi-simultaneously by arranging one sonic transmitter to three opposite sonic receivers. This provides redundancy in horizontal wind components measurements and allows a selection of the most advantageously positioned transmitter-receiver couples. Furthermore, three directly measured vertical wind components are available. More information on the new sensors can be found here.